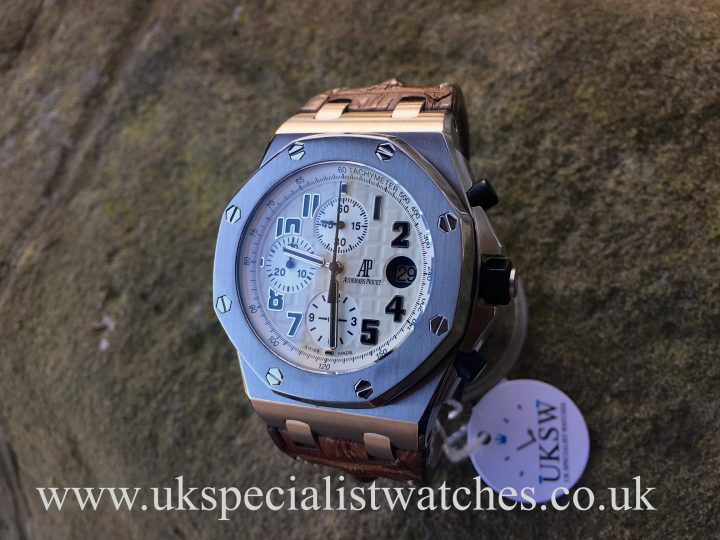 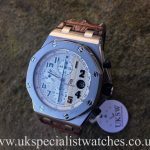 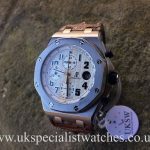 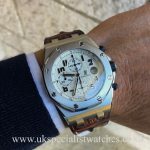 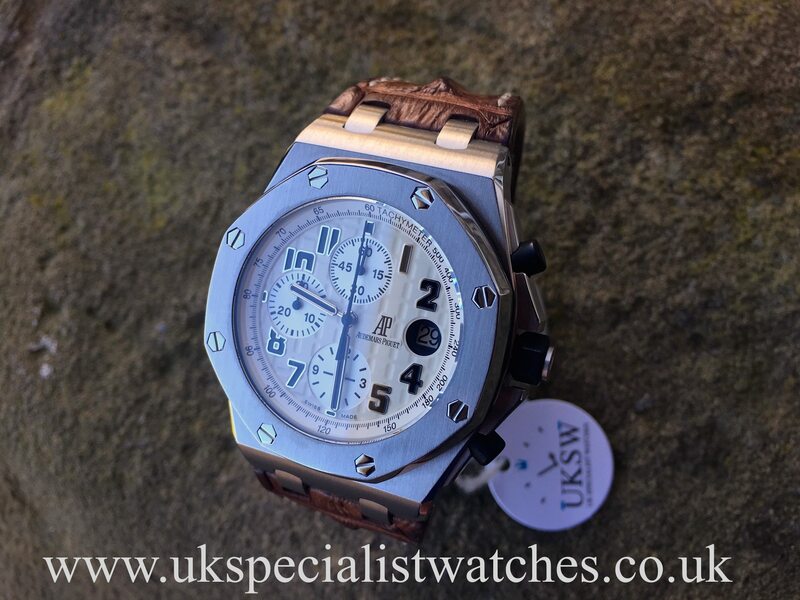 Audemars Piguet Royal Oak Offshore Safari – 26170ST.OO.D091CR.01. 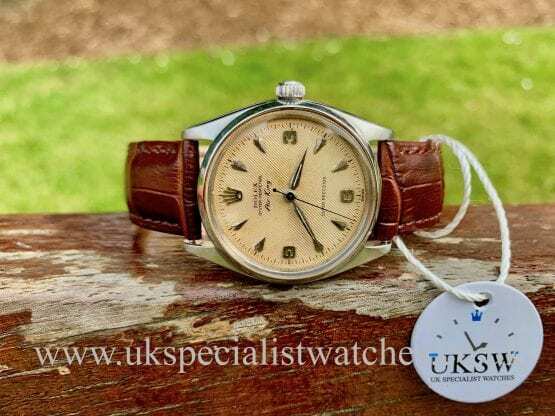 42mm stainless steel case with this now discontinued and very much sought after “cream” tapisserie dial, date displayed at the 3 o’clock position. 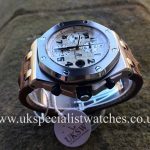 Stainless steel octagonal bezel bolted down with solid 18ct white gold screws, sapphire crystal glass and water resistant to 100 meters. 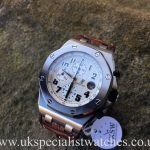 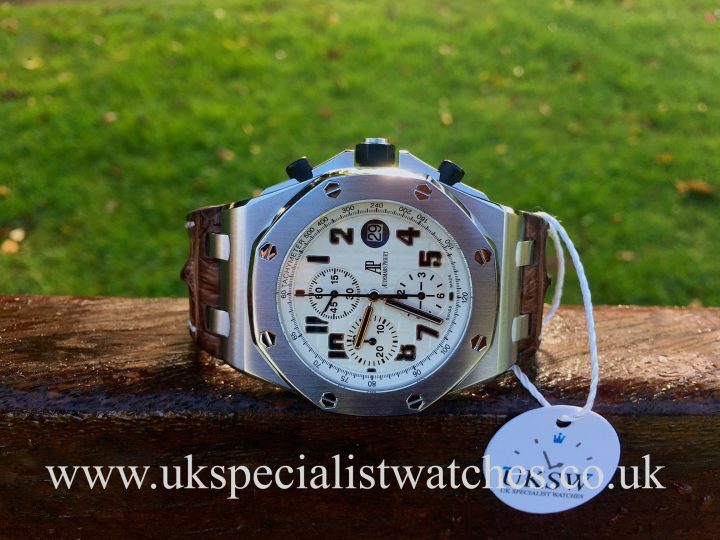 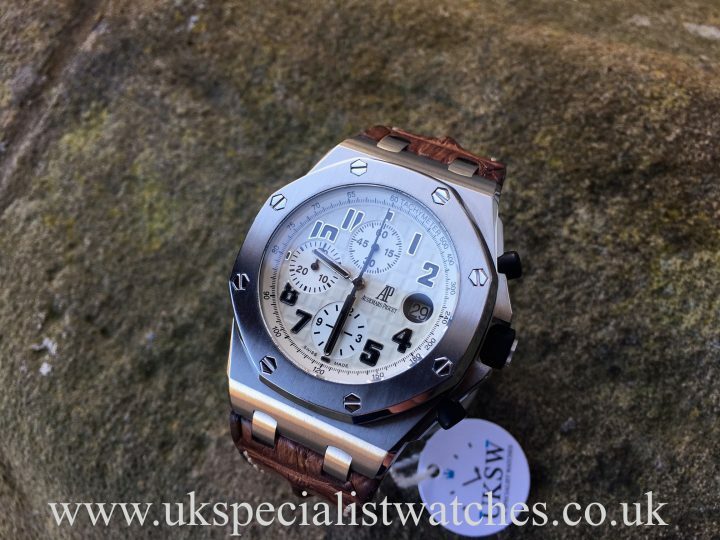 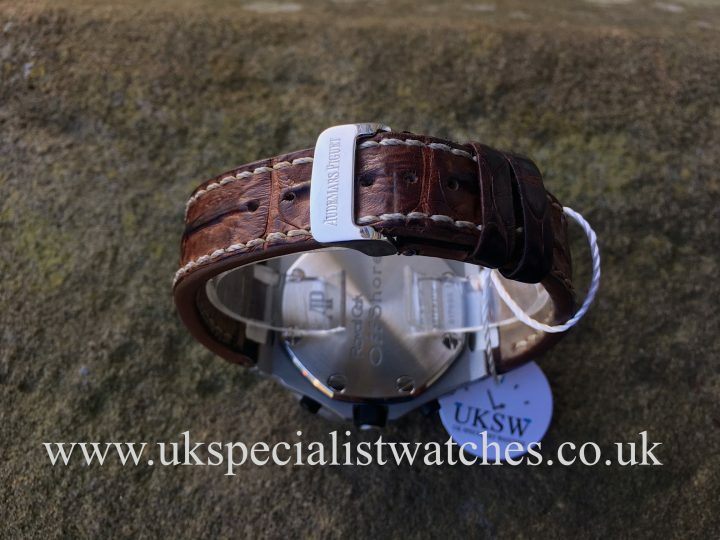 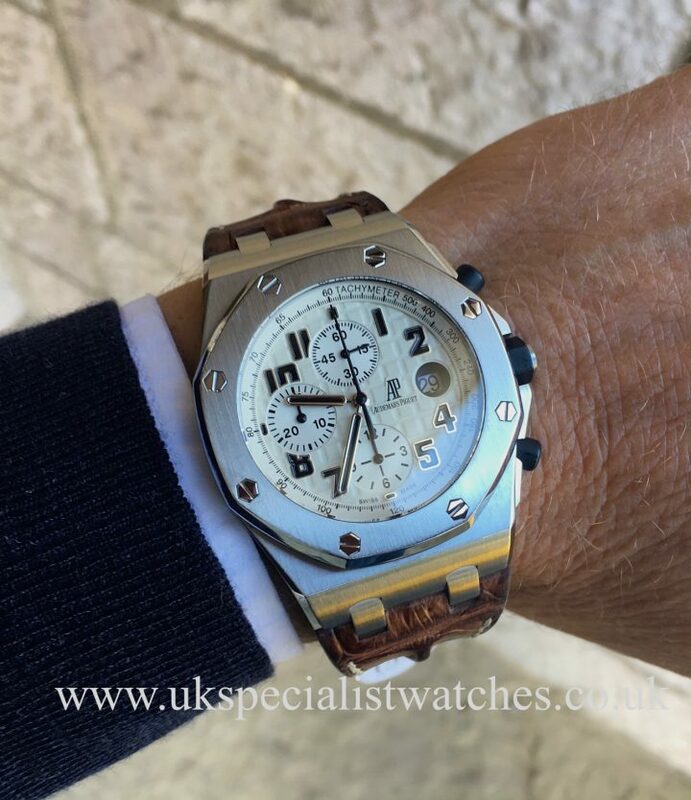 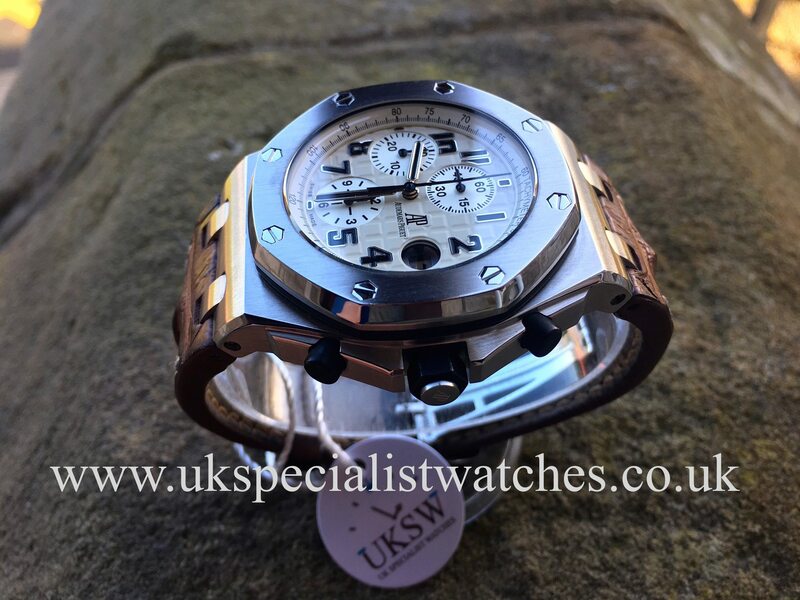 Fitted with the Safari AP Brown horn back Croc strap with white stitching and stainless steel double folding clasp with the shape of the “AP” logo. 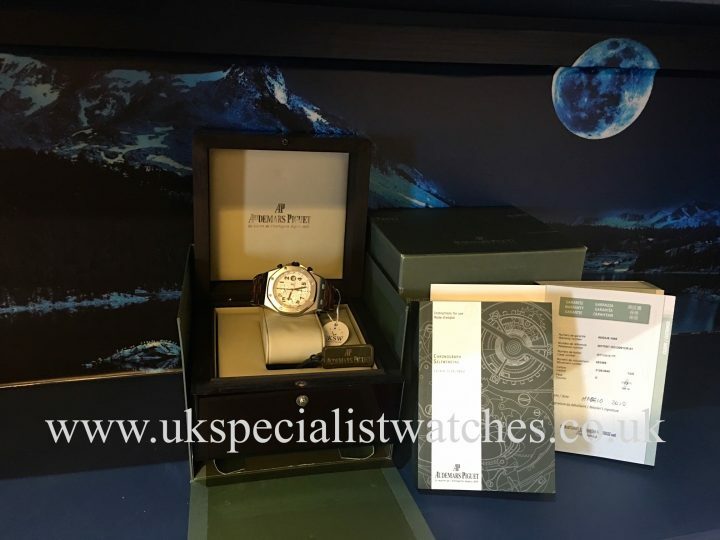 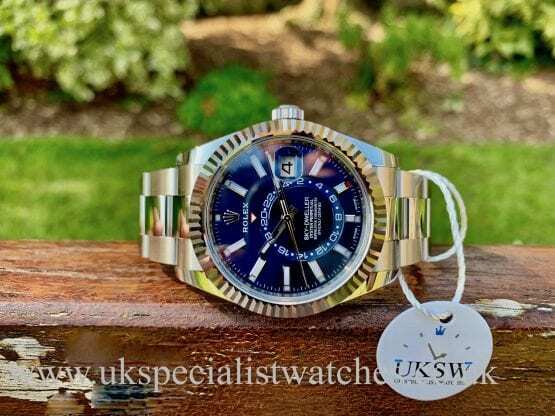 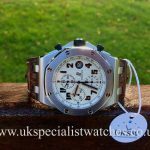 Our watch is in immaculate condition and will make a fantastic investment as this watch is now discontinued with prices already on the increase! Comes complete with its original boxes, instruction booklets, stamped guarantee booklet. 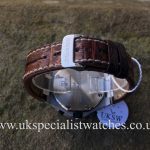 Supplied new in March 2010. 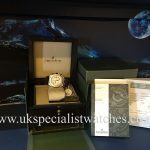 A new example today will cost £21,900!